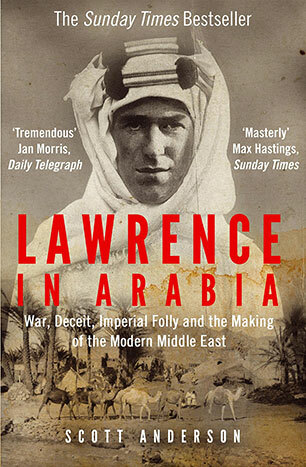 I'm reading Scott Anderson's Lawrence in Arabia, which is a treatise on TE Lawrence and the making of the modern Middle East. The World Wars played a big role in this making, of course, and the book is a historical account of the happenings around that time. While narrating, Scott Anderson explains how towards the end of 1915, after large losses in personnel to both sides, there was no real change in the map and everything was pretty much how it had been before the war had started. He says, and I paraphrase, "One would assume that this lack of progress at such a cost would encourage the warring factions to reconsider their positions and to explore the idea of achieving peace. On the contrary, precisely this lack of progress prompted the nations to soldier on as it would otherwise seem like they had gone through all of this for nothing. So, the war efforts redoubled." This is the classic case of sunk cost fallacy where rather than evaluating the course of action on it's merit from the current moment on, we evaluate it based on the effort that we have put in thus far, concluding that we ought to justify our investment thus far and act accordingly, even though if we were to begin afresh today, we would choose to do otherwise. While most people understand the concept of sunk cost and are willing to make rational decisions, they are often prevented from doing so by a culture that punishes failure. When a company or a democracy or the markets punish someone for admitting that new information calls for a new course of action rather than simply redoubling prior efforts, people will act in a way that will ensure they aren't punished. Instead, if we rewarded them for making a wise decision in changing course despite the sunk cost incurred, we encourage better decision making. In the realms of our own lives, however, we are in the position of punishing or rewarding such decisions. The biggest issue we face is that we find it hard to admit that we were wrong and we find it even harder to reward someone who was previously wrong about something. But in doing so, we are falling into the same sunk cost fallacy. It isn't an easy thing to be objective in the face of how we perceive we will be judged for a course correction.